Weather in Bali today is very bad with the rainy season. It rained all day, every day, resulting in flooding and other natural disasters. Not only natural disasters, Bali was hit by an outbreak of dengue fever, which is caused by a mosquito bite. Dengue mosquito develops very rapidly during the rainy season. We recommend that you postpone your vacation to Bali. Because dengue fever outbreak in Bali has been happening everywhere, in all areas of the island of Bali. Outbreaks of dengue fever in Bali today is an extraordinary event in recent years. In fact it has resulted in very many deaths, especially in children. Do not until you get this disease while on holiday to Bali. With weather conditions in Bali at this time, is not very good for holiday and traveling. It rained every day. Overcast sky cover throughout the day. Lightning strikes, high winds resulting in a falling tree. Flooding in the city and covering the road. Traffic jams caused by the flooding has paralyzed the rate of transport in Bali. Big cities such as Denpasar and Kuta became very rundown by puddles everywhere. When it rains occurred in Bali, flooding would also occur in highly populated residential area. Flooding that occurs affect mosquito development accelerated. 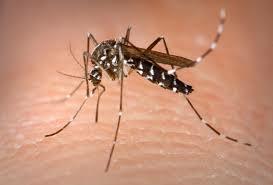 If a mosquito is very much, then the outbreak of dengue fever is also a big threat during the rainy season. Earlier this year, an outbreak of dengue fever in Bali is an extraordinary event that must be addressed properly. Because Bali is the island destination. If the outbreak continues to happen, then there will be no tourists who want to Bali when outbreaks occur. We recommend that you postpone your vacation to Bali today. Due to the threat of dengue fever will haunt you while in Bali. The outbreak has caused many people to become ill and die. If that happens to you while on holiday in Bali, then your holiday will be the worst. Maybe you'll hate to Bali. Since the beginning of December 2015, the weather in Bali has been switched from the dry season as the rainy season. Until now, the rain is still happening, even the higher rainfall intensity. Rain became more frequent, every day, all day. Not just rain, hurricanes also occur in some regions. Landslides and flash floods have become routine natural disasters in Bali.